You’ve been having some abdominal discomfort and periodical diarrhoea or constipation, and your doctor has diagnosed IBS. What can you do? The GP may recommend laxatives, or anti-diarrhoea medication, but if you prefer to take a more natural route there are several things that may be helpful. First of all have a think about the ‘outside in’ factors – what are you putting in to your system and how might you adjust it to help yourself? Drink plenty of fluids, and eat regular balanced meals, avoiding hasty eating ‘on the hoof’. Regular daily exercise helps the digestive system to function optimally, as do regular sleeping habits. Have a look at any foods that seem to trigger symptoms, and think about replacing them in your diet. Some of the main culprits are dairy products, gluten containing foods, refined sugar, caffeine and alcohol, spices. Once you have considered these lifestyle and nutritional factors, the most powerful healing approach for your IBS is from the ‘inside out’, addressing the root cause of your condition. Homeopathy has a very strong track record in treating, and in many cases resolving bowel disorders. Homeopathy looks at your condition in the context of your personal history and susceptibilities. Stress is often mentioned as a causative factor, and this makes sense from a physiological point of view, because stress can increase inflammation, leading to digestive disturbance. The definition of ‘stress’ is different for everyone. I explore the impact of events and circumstances in your life, and look at your response to them, physically and psychologically. The homeopathic prescription for your IBS reflects your individual symptom picture, effectively addressing your condition from the inside out. Arsenicum album – this remedy has a strong focus on conditions of the digestive system. Those who need this remedy typically experience burning pains in the abdomen, especially at night, but feel subjectively very chilly, and feel better for warm things (eg extra blankets and a hot water bottle), and worse for cold food and drink. They will often have alternating diarrhoea and constipation, which will leave them feeling weak. They worry about their health, and may be anxious that their IBS symptoms are indicative of a more sinister underlying condition. Colocynthis – this remedy is needed in IBS cases with strong colicky, cramping pains. There may be diarrhoea accompanied by intense, grinding pain in the abdomen, which comes on after eating. They may be especially aggravated after eating fruit or cheese. The pain may be so strong that the only thing that helps is hard pressure. A Colocynthis type of symptom picture may be associated with an emotional cause, and in particular a history of pent-up anger. Kali carb – this remedy is often needed in cases which are accompanied by a lot of bloating and flatulence. All the Kali (potassium) salt remedies have a typical worsening of symptoms between 2 and 4am, and so it is typical for someone who needs this remedy to experience cramping and discomfort at this time. Like Arsenicum, they tend to be chilly and are very sensitive to drafts. 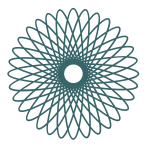 Lycopodium – this is one of the most frequently prescribed remedies in cases of IBS, where the symptom picture matches. Those who benefit from Lycopodium tend to have a sensitive abdomen, and prefer loose clothing. They experience a lot of bloating, and are typically worse from 4 – 8pm (and sometimes around 4am too). They feel very much worse after eating pulses and cruciferous vegetables. They often lose weight, in spite of eating well, due to inefficient absorption of nutrients in the gut. Nux vomica – this remedy is characterised by marked cramping pain, which is typically worse in the early hours of the morning. There may be a frequent desire for a bowel movement and the feeling that they are never quite finished. Symptoms are often accompanied by chilliness and irritability, and there is often indigestion and nausea too. They are aggravated by coffee, spices, and other stimulants. 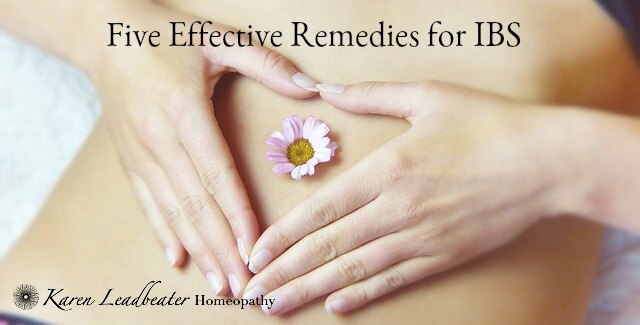 Want to try homeopathic treatment for your IBS? Contact me here to discuss working with me.